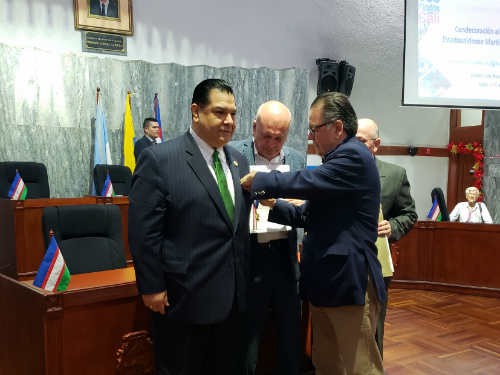 SANTIAGO DE CALI, COLOMBIA – Given the recent humanitarian crisis created by mass migration in the hemisphere, Illinois State Senator Martin A. Sandoval recently made a fraternal and official public relations tour in Cali, Colombia, by invitation from Councilman Fernando Tamayo Alberto Ovalle. 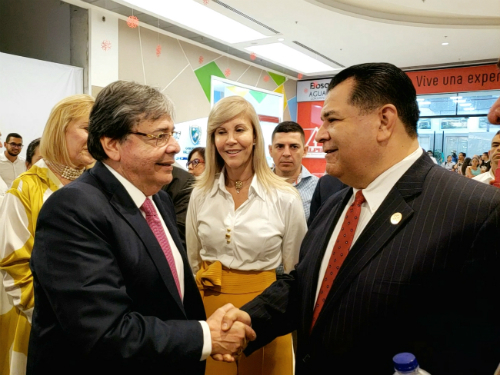 During his visit, Sandoval participated in the very much anticipated inauguration of the new passport processing headquarters, officiated by the Governor of Valle del Cauca, Dilian Francisca Toro Torres and by Colombia’s Minister of Foreign Affairs, Carlos Holmes Trujillo García. Later, Sandoval held a private working meeting with Governor Torres Toro and Foreign Minister Garcia Trujillo to exchange cooperation strategies and discuss current migration issues such as the displacement of Venezuelans to neighboring countries, Ecuador, Peru, Chile, Brazil and Colombia. Sandoval, son of immigrants and resident of the Southwest Side of Chicago, is a veteran defender of human rights of that community in the United States. Now, he is also worried about the uncertain future of the thousands of Central Americans who continue to travel great distances defying death in search of the 'American Dream'. Following the meeting, Sandoval also held an active agenda with regional and national media to talk about the worrying migration issues and the possible options that could be achieved through effective international cooperation.